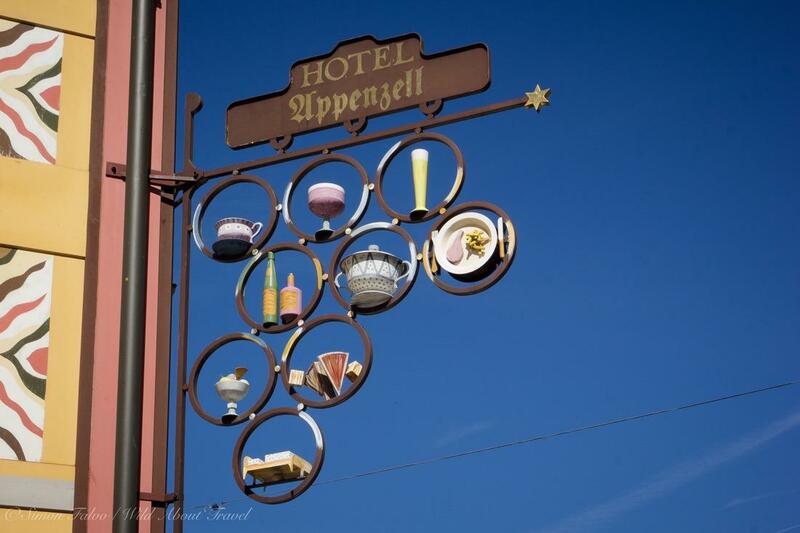 It’s the capital of Appenzell Innerhoden Canton, the smallest in Switzerland together with Basel City, but don’t expect a city, since Appenzell is nothing more than a town counting less than 6,000 inhabitants. 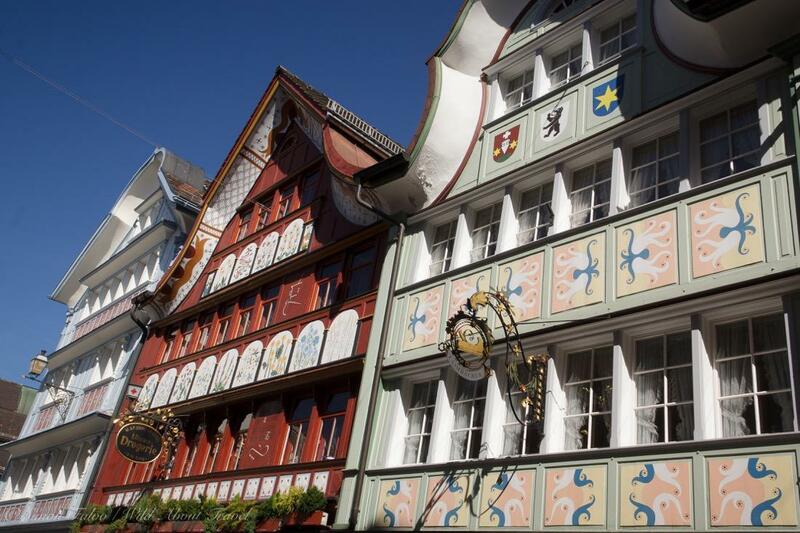 Appenzell is well-known for its colorful houses with painted facades and as one of the only two towns where the Landsgemeinde still survives. A symbol of direct democracy cherished by the cantons of rural, central Switzerland since the late Middle-Age, the Landsgemeinde is a yearly public assembly where the population of the canton gathers in a square to vote on Council’s laws and expenses, declaring their favor by raising their hands. Women were granted the right to vote on local issues in… 1991! 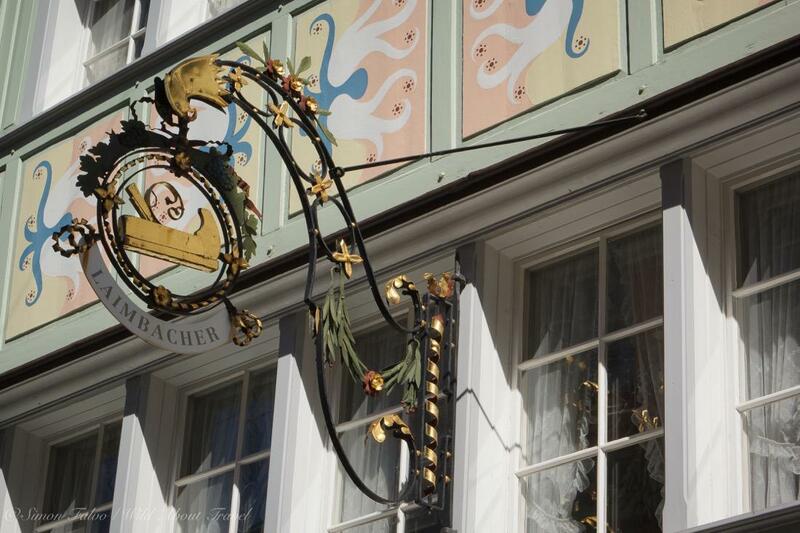 It’s said to be one of the most conservative and traditional places in Switzerland (Appenzell was the last canton to grant the vote on local issues to women in… er… 1991! ), and I expected to see people dressed in their beautiful traditional costumes, together with a strong local flair. 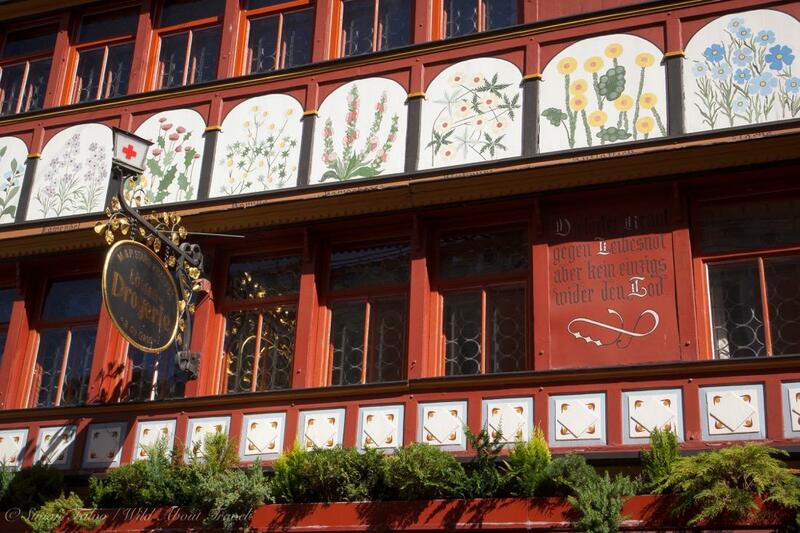 Instead, Appenzell is touristy and I could see little traces (if any) of the local customs. I wondered if it might be different in other periods of the year (I was there late August), or if the traditions are more a matter of folklore, displayed only during specific events. 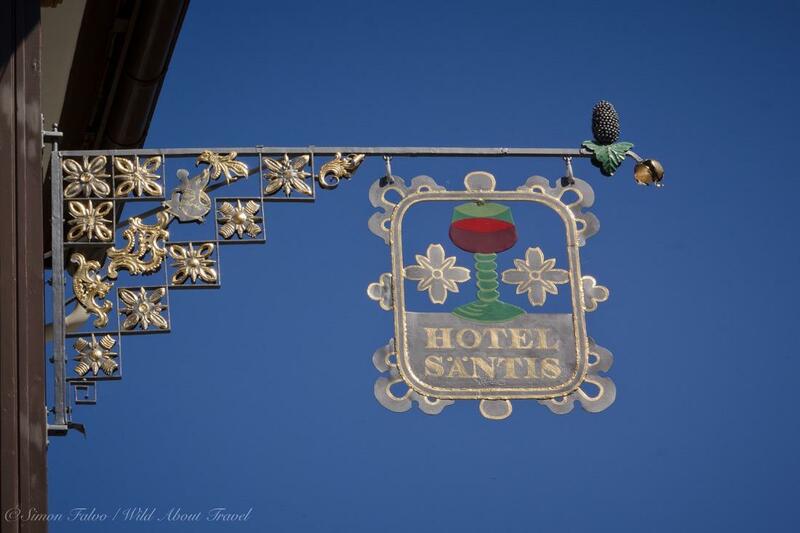 Perhaps because my expectations were high I felt a little disappointed, although the town is certainly pretty and its location is lovely; surrounded by gently rolling hills and the limestone massif of the Alpstein – where I did some beautiful hikes – on the background. Somehow, while strolling along Appenzell alleys I felt something similar to what happened when I visited the fairytale Trulli of Alberobello, in Southern Italy, where everything is so perfect and pretty to seem unreal. Beautiful places, for sure, but where all you see seems to be more to please tourists that reflecting real life. 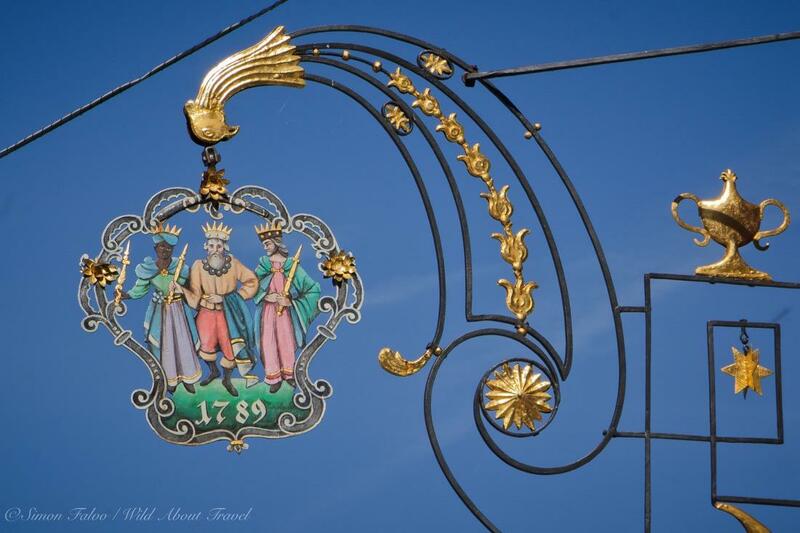 While strolling through the tiny streets of Appenzell, I soon discovered that the best views were looking up towards the sky, for If the painted houses are pretty (but, I confess, I was much more impressed by the painted houses in Lucerne), the wrought iron signs are remarkable. Finely decorated and beautifully colored, it would be hard to tell which is the most awesome. A must is tasting Appenzell local craft beer. Simply delicious. 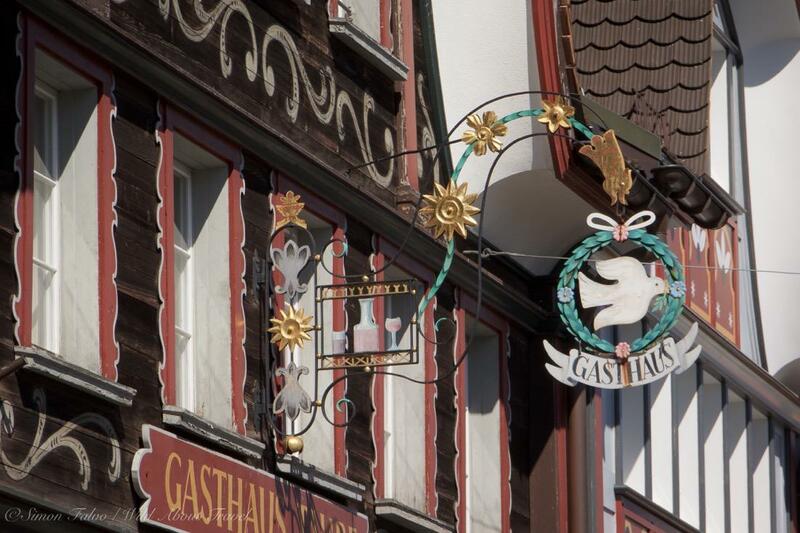 Last but definitely not least, a visit to Appenzell wouldn’t be complete without tasting the excellent local craft beer (I, of course, did more than tasting… and you can also visit the brewery in town). Not only is the beer excellent, also the bottles are so pretty I wish I had more space in my bag to bring back home a couple of them. 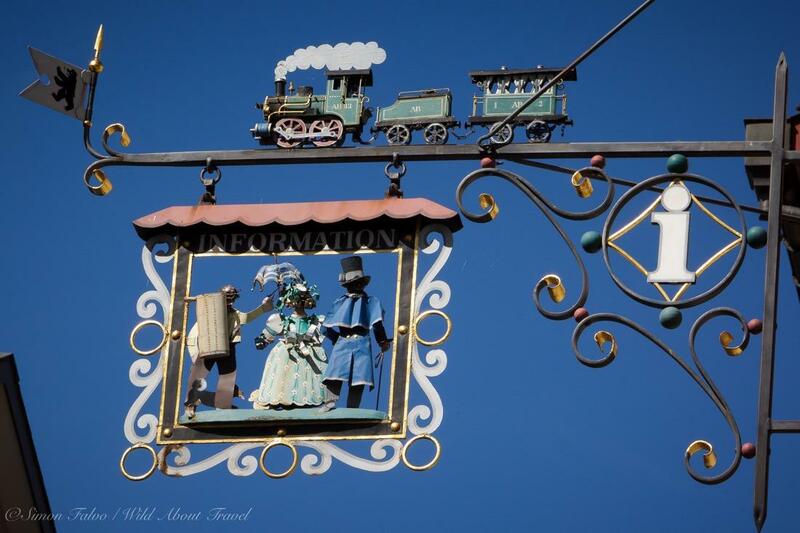 Enjoy more pictures of some of my favorite houses in this charming town! 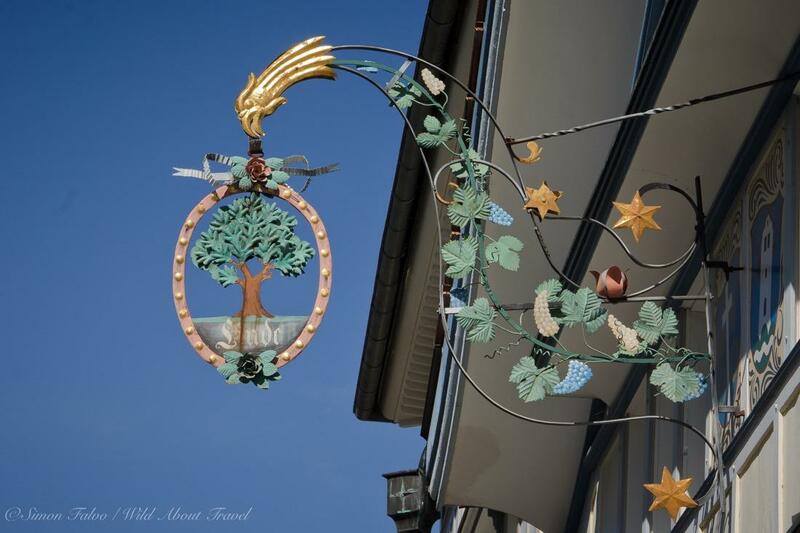 Appenzell Tourist Information: Isn’t it pretty? 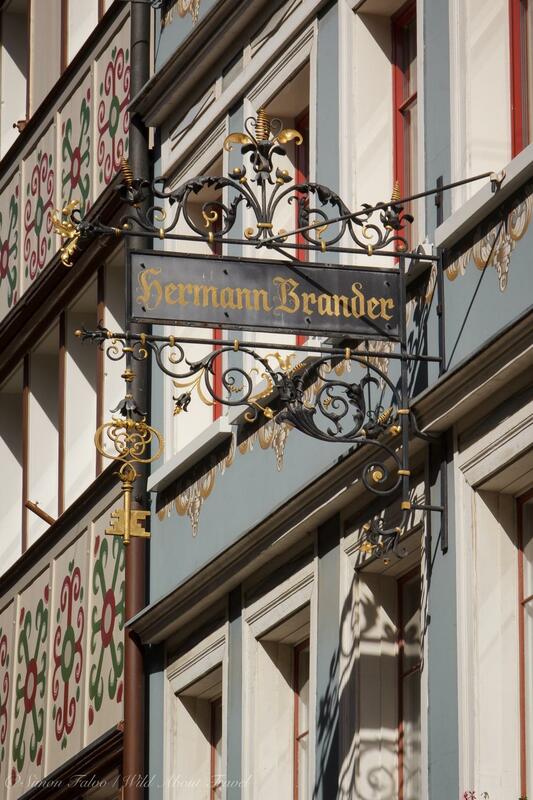 Hermann Brander shop: you can hardly go more traditional than here.